This elegant Cenerentola is possibly the most perfect staging I’ve ever seen of Rossini’s opera. Not necessarily my favorite, since other productions offer so many joys as well, but the most perfect. 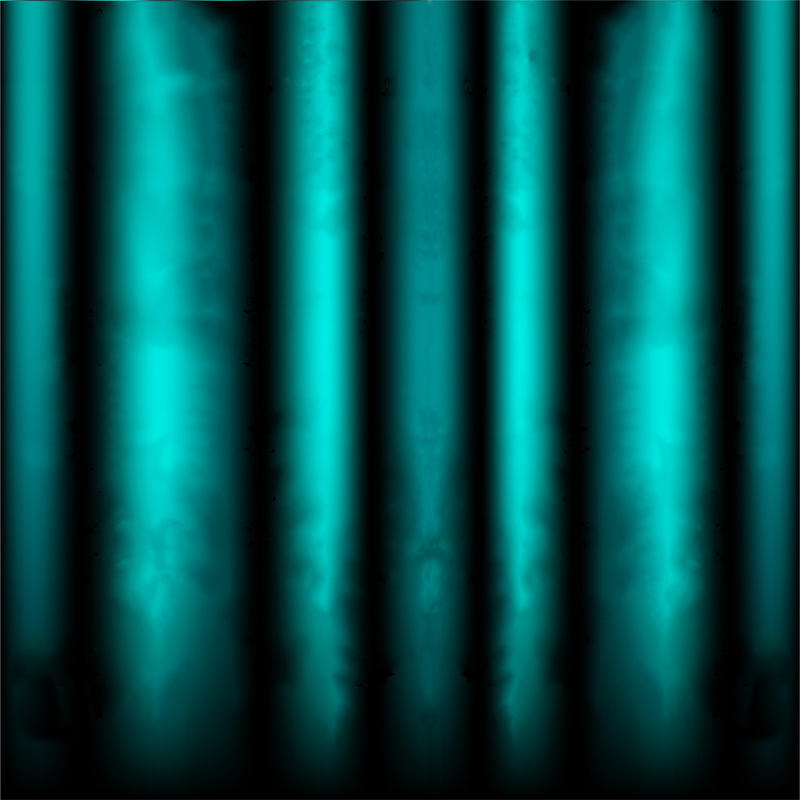 The realistically rendered wing-and-drop sets are simple yet ornate and beautiful, as are the authentic-looking Regency era costumes. Michael Hampe’s staging is full of intelligence and wit, with every word of the libretto and note of the music paired with utterly fitting visuals. The thunderstorm scene is especially outstanding, with its life-sized carriage and mechanized horses driving through vigorous wind and rain. The humor here is subtler than in most other productions, but in a good way. 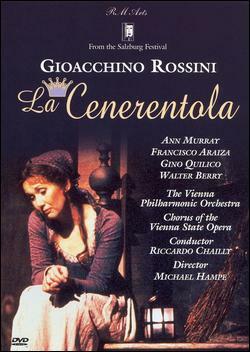 Rather than being a full-out comic romp, this Cenerentola tastefully strips the opera down to its essence: a humane, realistic retelling of the “Cinderella” story as a gentle social satire and morality tale. Ann Murray is an ideal heroine: tender, fragile and sweet, yet never insipid, with a lovely feminine tone and perfect vocal agility. Her Ramiro, Francisco Araiza, is less boyish than he was in Ponnelle’s 1981 Cenerentola film, but still a first-rate Rossini tenor and engaging as a dignified yet headstrong prince. As Don Magnifico, 59-year-old Walter Berry sings with a rougher, barkier tone than in his prime, but is still a memorable presence. His Magnifico is a smug little curmudgeon whose humor comes from his sheer pride and foolishness rather than clowning, a departure from the standard buffo shenanigans, but one that works. Equally show-stealing is Gino Quilico’s Dandini: youthful, exuberant and hilarious, with a charming baritone. Wolfgang Schöne is a rich-voiced and warmly dignified Alidoro, while Angela Denning and Daphne Evangelatos are appropriately spoiled, spiteful stepsisters. The men’s chorus makes an amusing crew of elegantly lusty courtiers, and Riccardo Chailly conducts with energy, finesse and charm. Picture, sound and camerawork are generally excellent, though all the wide shots tend to look identical. 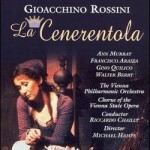 It goes without saying that I recommend this Cenerentola wholeheartedly. For greater peaks of humor, choose another DVD (e.g. the Ponnelle film or the 2009 Met production), but for an elegantly charming and beautifully thought-out version with uniformly excellent performers, look no further than this one.